A native of Mallorca, Spain, he always knows how to harness the sun, beach and the sea in order to get the most out of his audiences and Sammy’s evolving appreciation of the ”feel good factor” has brought him success globally. Quote “When I put on a record and it is so pure and real that it touches my soul, while the audience is on the dance floor feeling the same emotions as I do. This is a “wicked” feeling, man! Music is my life and I will not stop this spiritual journey.” This openness Sammy credits to the warm and open life of Mallorca, Spain. 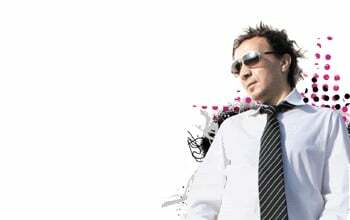 His worldwide breakthrough was in 2001 when DJ Sammy begun to put his own name to his work. The single ”Heaven” helped DJ Sammy achieve massive success in Europe and Australia with 2 million records sold, then came to the US where ”Heaven” reached No. 2 in U.S. Billboards HOT 100 before going to the UK in 2002 and hitting No.1.’Heaven is magic’ again in 2007 goes into the UK charts, this prove that it will be never forgotten and Sammy followed up ‘Heaven’ with ‘The Boys of Summer’, which shot to #2 on the UK charts. Also a Huge thank you to the success of the international productions of Dj Sammy – some of the most famous rock/pop latino & spanish artists are now on the electronic music bandwagon & have benifited from Sammy´s productions. These artists have now turned to Sammy for the golden touch in music production. David Bisbal , Marta Sanchez, Chenoa and others. In less than 2 weeks these artists haver reached the highest chart positions in the latin & spanish music world and in recognition of the their work have recieved gold disc, all thanks to the musical production wizard that is DJ Sammy.